We all have made fun of Rohit Shetty's obsession with cars and trucks but never have we thought about the hard work and planning which goes into making them fly to thrill the audiences. The director, who maintains a low media profile, has finally come out in open and this time around he has paid tribute to his team of stuntmen. 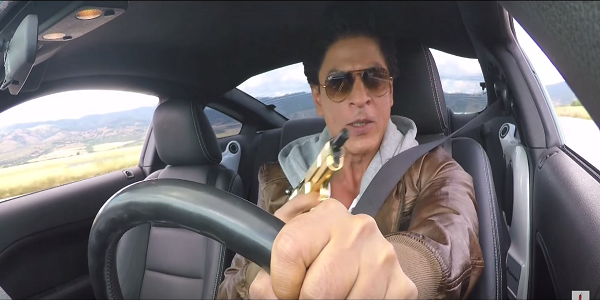 "It is sad that people ask me why I fly cars in my film. Not even one guy has come to me with the question, 'how do I manage to do that?' or 'who performs the dangerous stunts?" asked the director in a behind the scenes video of Dilwale. "We have an ambulance and fire brigade ready on the sets before commencing the shoot for any action sequence. A common man's heart beat would skip when he looks at the two vehicles together." The director also revealed that his team of stuntmen risk their lives to entertain the audiences, but no one cares to think about the same. "A stuntman's life is in risk the moment he sits in the car and we have to plan the action sequences for many nights to ensure the safety of guy performing the stunt. I pray to God every day and ask him to take care of my stunt team. I take all safety measures but again what finally happens depends on the Almighty,' says Rohit Shetty. The making video is bound to get you emotional when a few stuntmen speak about the injuries they suffered while filming the action sequences and the impact the same had in their lives. Dilwale is slated to release on 18 December 2015.